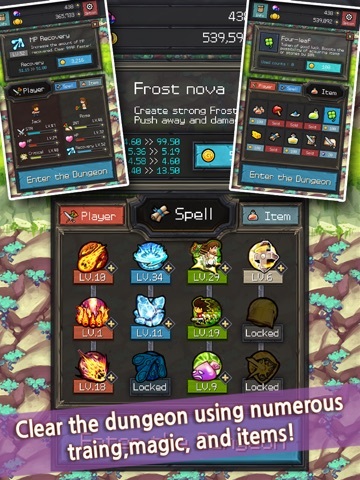 Discussion in 'iPhone and iPad Games' started by moontm, Dec 30, 2015. 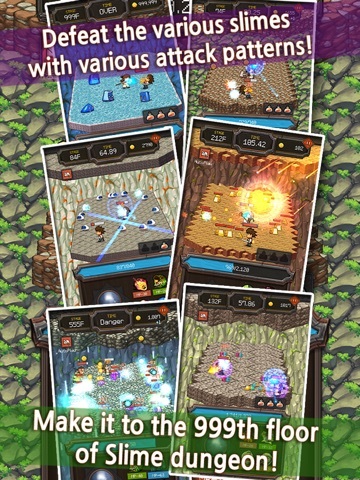 "The game you must play at least once in your life!" 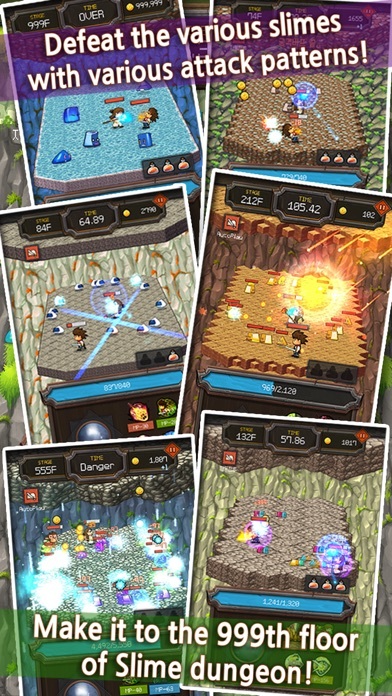 "The game with potential of million downloads globally!" ...is what the developer wants to hear, and the hope that was put into making this game. 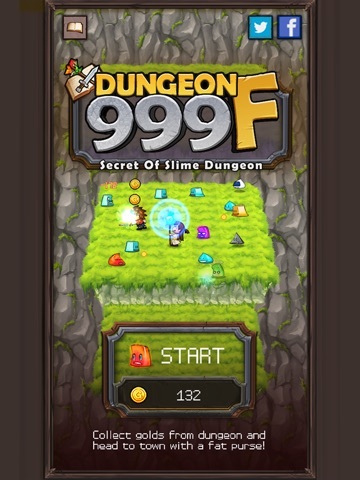 Explore the dungeon with 999 floors full of various slimes with a wandering warrior Jack, the Black Hair, and a magician Rose. 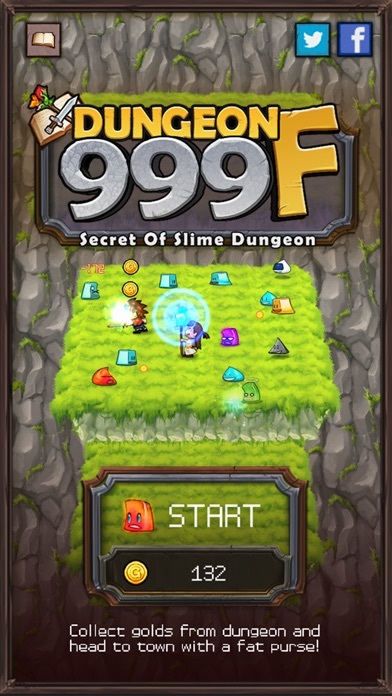 Train your characters, discover new magic, and utilize numerous items to geto to the 999th floor and find out the cause of slimes' rebellion! 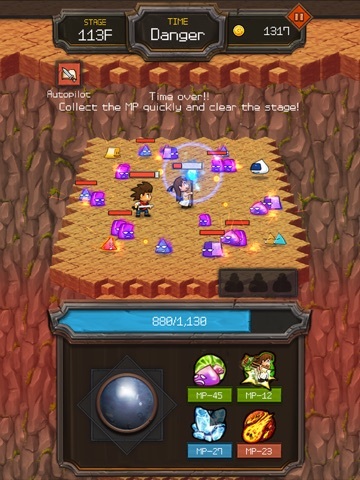 - Dungeon that seems to go on forever but eventually has an ending! 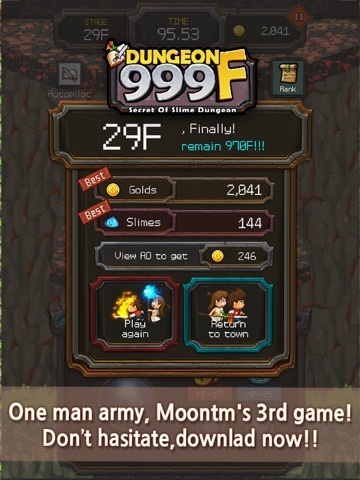 - A unique storytelling of a One man army, full of old jokes likely to appear in 90s TV show! - Various casting with wonderful effects, which you can advance additionally! 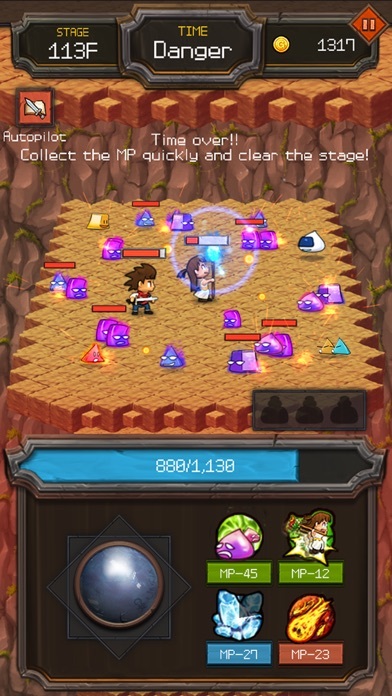 - Strategic fun of finding a proper attack method for each slime! - Ambiguity that promotes a sense of expectancy for the following sequel. - If you read it all the way down to this line, why don't you try it yourself?? 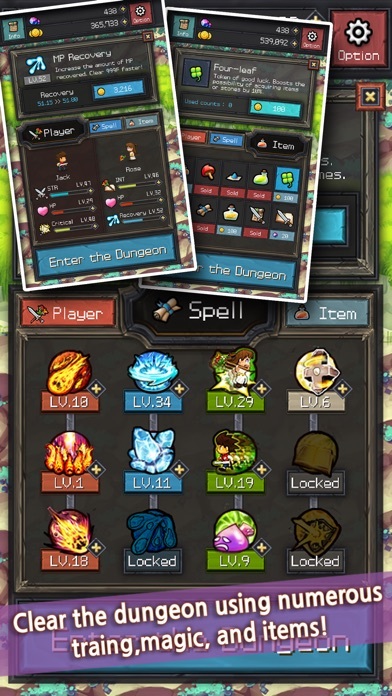 * CAUTION If you delete the application, the data in it will be deleted as well. 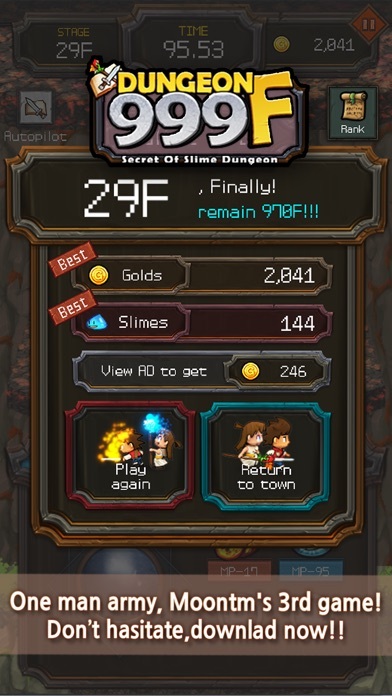 Actually this game was released a few month ago, but I strongly recommend this game for killing time best! Good to see you at here! kkkkkkkk Thank you Pill!